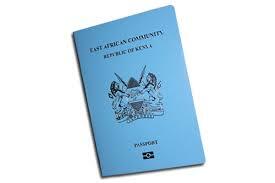 The Embassy of the Republic of Kenya facilitates processing of passports. The waiting period is 3 months. The Kenya Government has implementing a new e-Passport issuing system for issuance of new generation passports in line with the International Civil Aviation Organization (ICAO) standards.The passport printing will be centrally done in Nairobi. Passport applicants are required to submit online applications online on the e-Citizen platform ( https://www.ecitizen.go.ke/) and present themselves to the High Commission for processing. Please note that the old generation valid passports will no longer be valid after 31st August 2019. Login in and navigate to Department of Immigration Services. Submit the application form in person to the the Mission. Three passport sized-photographs 45mm x 35mm.